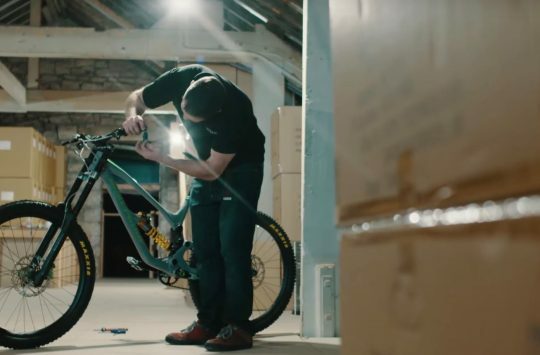 Despite Hope Technology only being located within a short drive of Singletrack Towers, it was seven hundred miles away where we caught up with our British neighbours to see all that’s shiny and new out of Barnoldswick. Hope arrived at Eurobike with lots of goodies and two special bikes; one was a Mason cyclocross/gravel thingamajig, and the other was their own HB.211 carbon enduro bike. 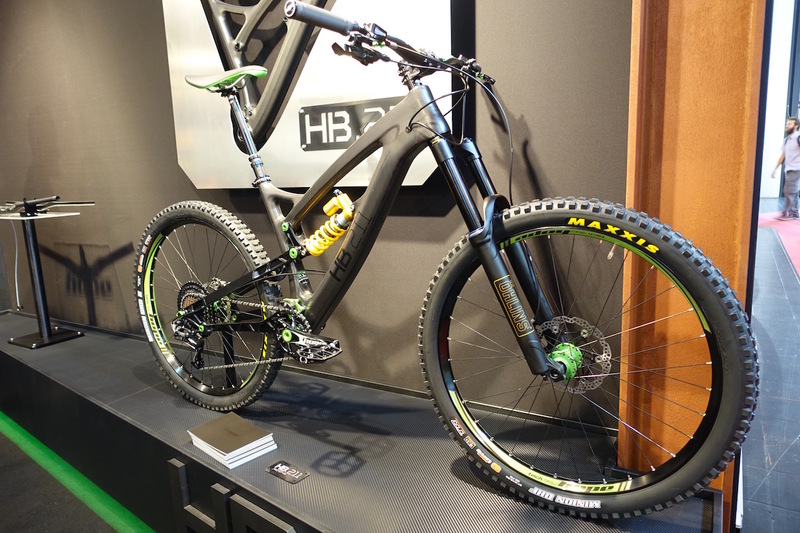 The HB.211 is currently a concept bike for Hope and it’s really an exercise in flexing their carbon fibre muscles. Hope has traditionally worked with metal, but they’ve been dabbling with black magic for a little while now, and that only looks set to grow moving forward. How’s that carbon weave eh? 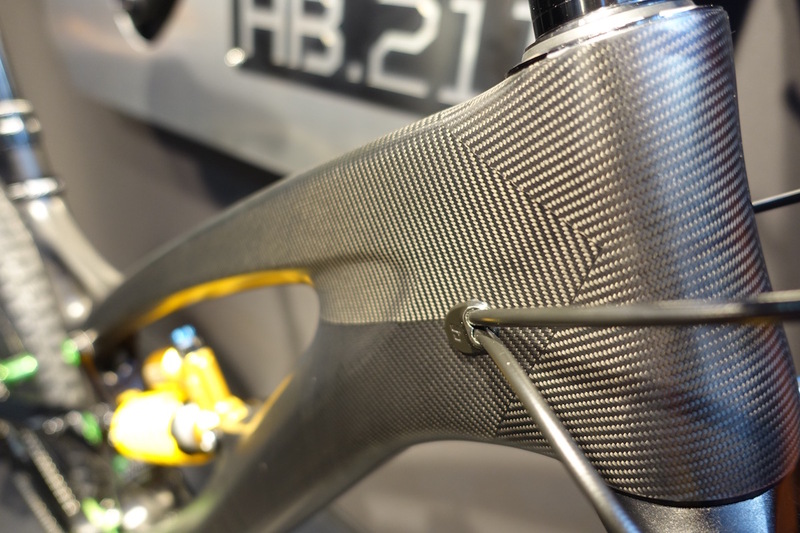 Beautiful raw finish on the HB.211 that is just a little nicer than what you’d expect from a ‘prototype’ or ‘concept’ bike. Will the HB.211 go to production? Who knows, but right now there’s only ten of these in existence. 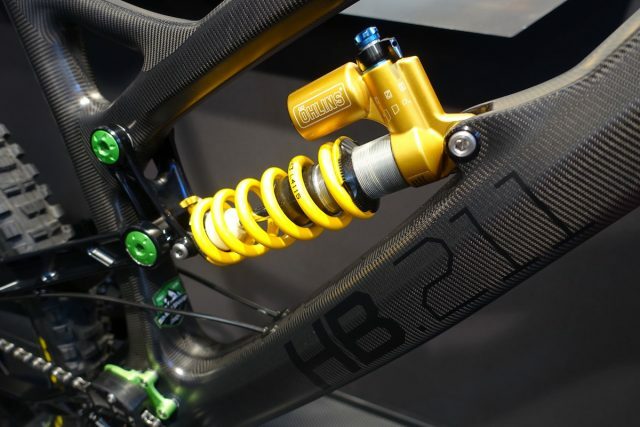 Slick black carbon frame matched to a bright gold and yellow Ohlins TTX 22 rear shock. Exotica for sure ya? 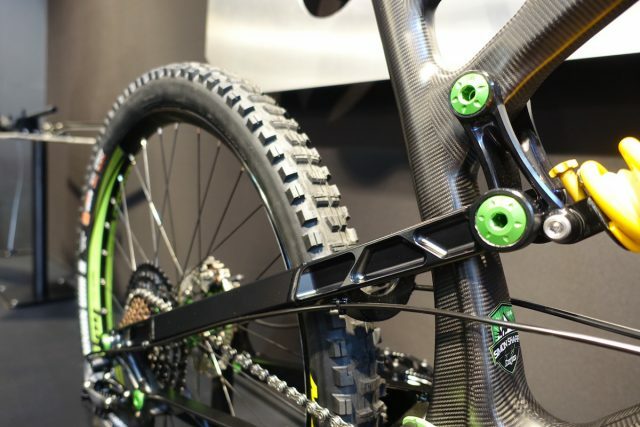 To match the carbon fibre front triangle, Hope machined up an alloy sub-frame that offers quite an industrial aesthetic. 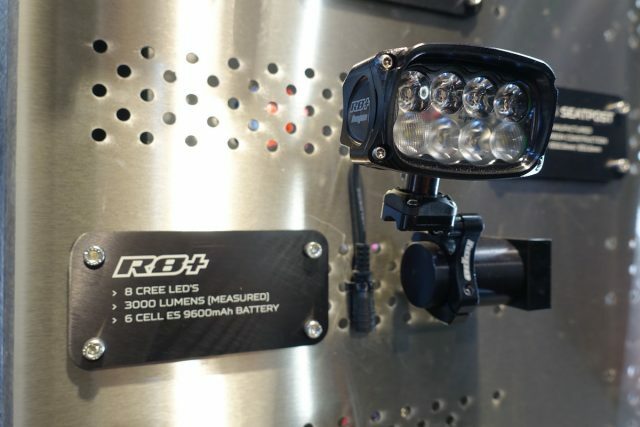 Perhaps we’ll see a carbon version of this in the future? 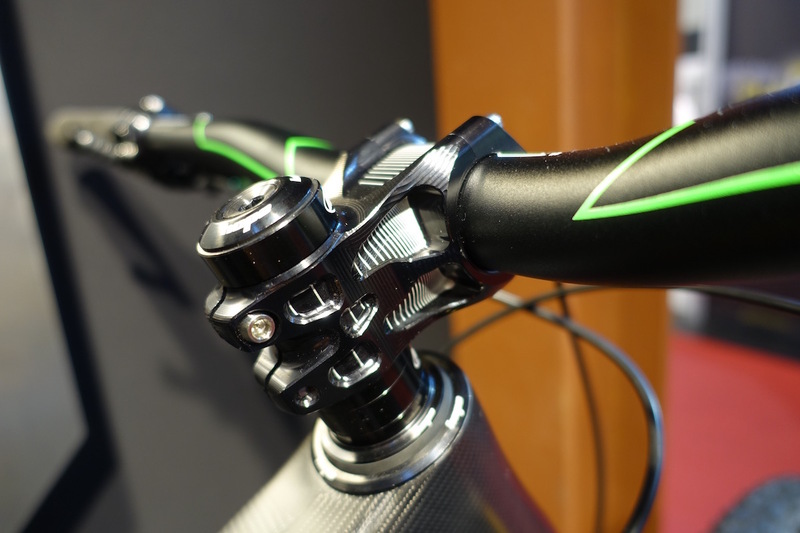 Dark black machined tubing dotted with anodized green pivot hardware. Mmmmm yummy. Hope’s own 11-speed cassette sits on the back of the HB.211. But this one has a bit more spread than what you’ll normally see. It’s a prototype 10-48t spread, which is a bit bigger than their current 10-44t cassette. 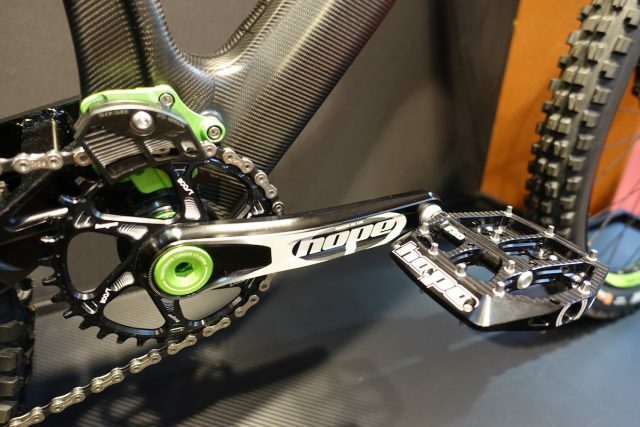 Hope cranks, Hope chainring, Hope pedals, and Hope bottom bracket. Oh, and Hope chain guide too. 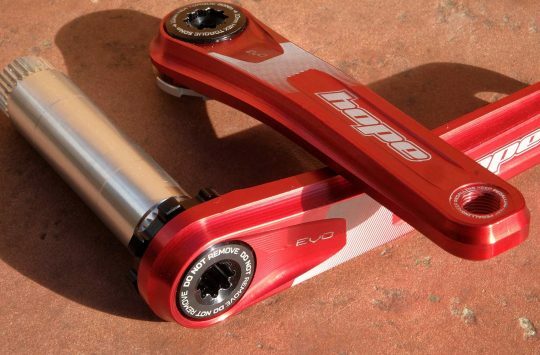 Lovely CNC machined alloy stem. 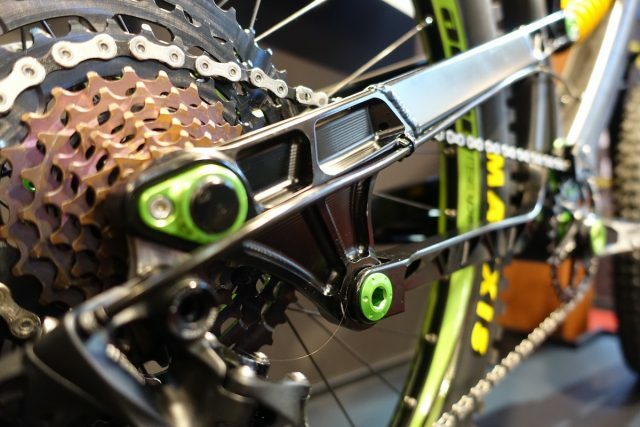 To match the rear shock, an Ohlins RXF 36 fork sits up front. 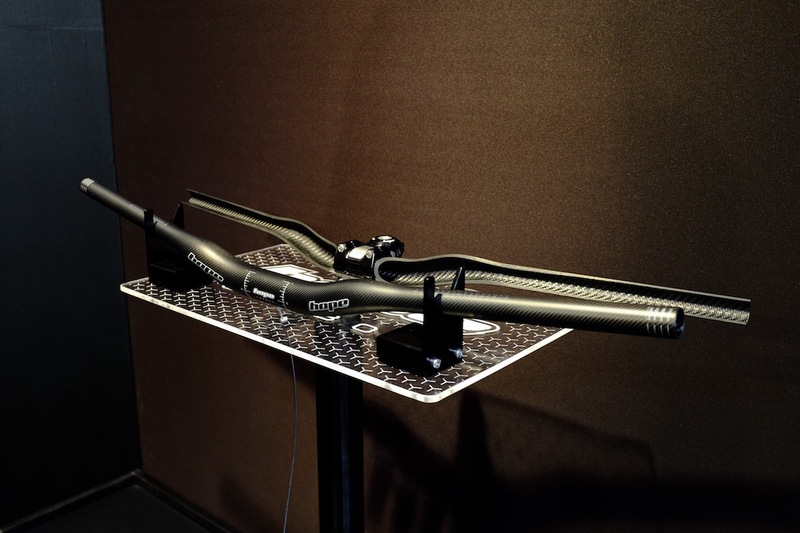 Murdered out in black with anodized stanchions for good measure. 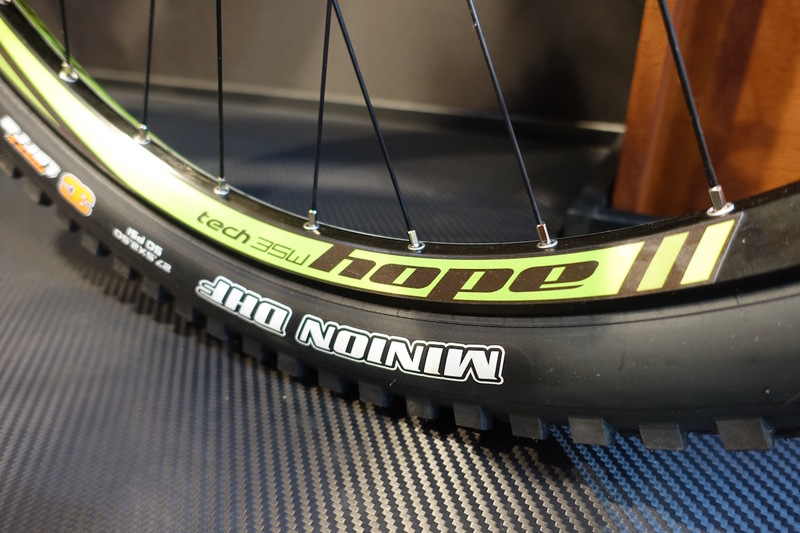 New rims from Hope: these are the Tech 35W wheels, which feature a 35mm internal rim width. 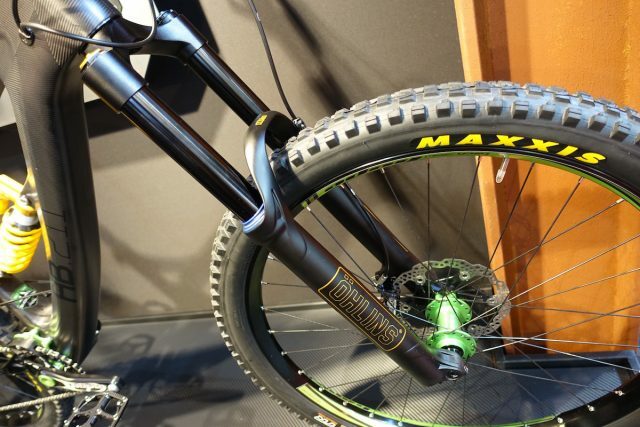 That makes them pretty versatile – you can run them with regular 2.5in wide tyres (like the Maxxis Minion ‘Wide Trail’ tyres), or with a proper plus-sized tyre up to 3.0in wide. They use the same triple box construction and eyeleted design of the existing Tech series rims, just with more girth. Trick brakes. 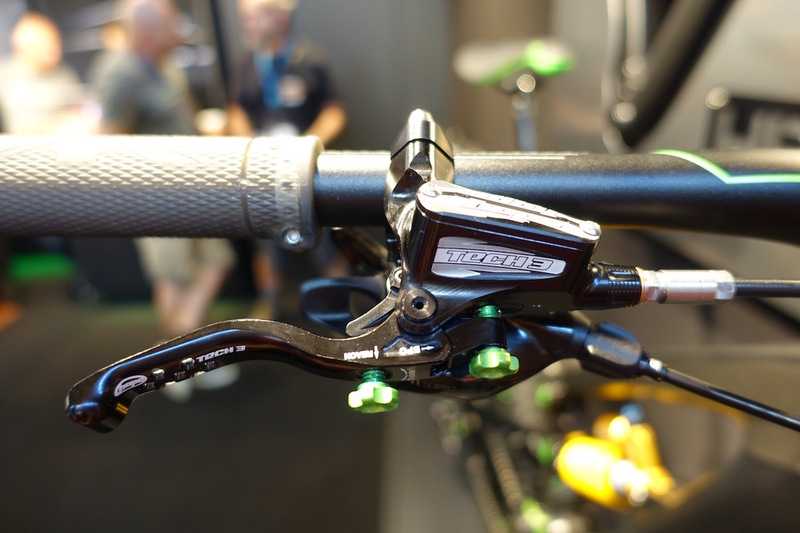 The Tech 3 disc brakes from Hope feature tools-free adjustable reach and bite point. Nice detailing with a matchmaker mount for the SRAM 1x trigger shifter. Just behind the HB.211 concept bike was a set of Hope’s new carbon handlebars. Hope did plan to offer Asian-made alloy bars (the construction technique for alloy bars is completely different from what Hope do in house), but they just didn’t feel right about it. 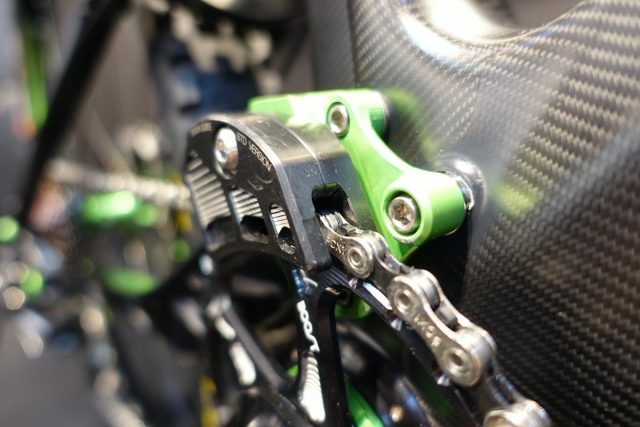 Carbon bars on the other hand, they can do in house, because they can CNC machine their own moulds and lay up the carbon fibre by hand. 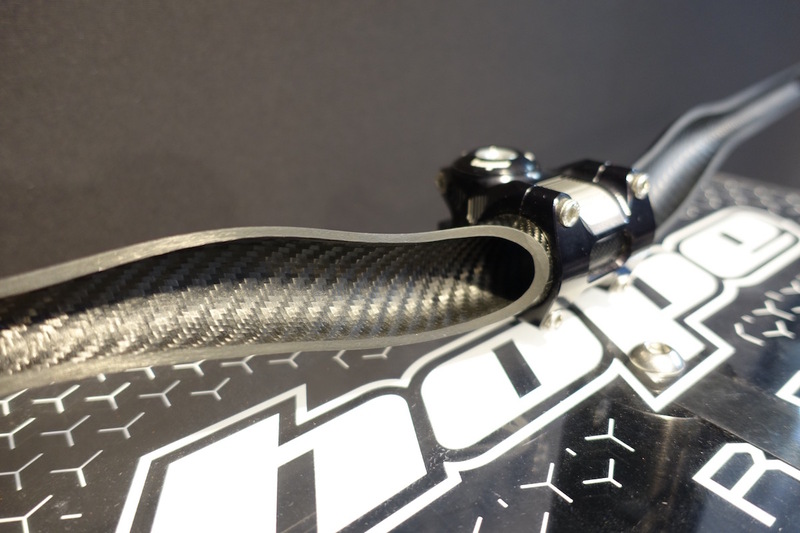 A sweet cutaway showed the guts of their new carbon bar, which will be 780mm wide with a 20mm rise. Sweep is 7-degrees up and 5-degrees back, and Hope are aiming to get the weight down to about 225 grams. We’ll keep you updated on pricing and availability as we get it. And then we got distracted by all the colourful shiny stuff in Hope’s Eurobike booth. 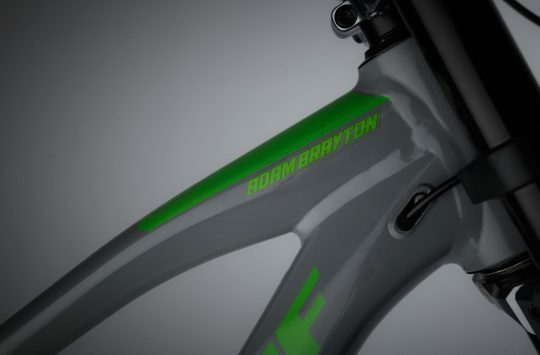 If you love customising your bike with colour detailing, Hope has got you covered. 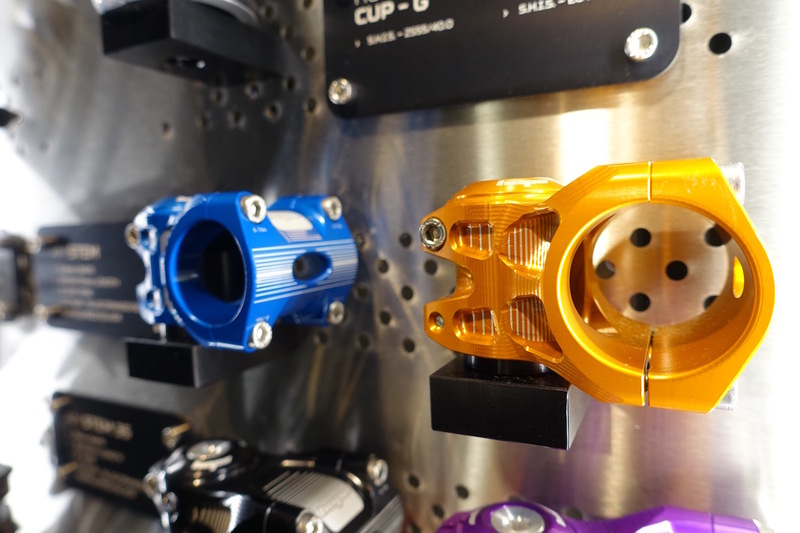 Colour options in the Hope Crank. 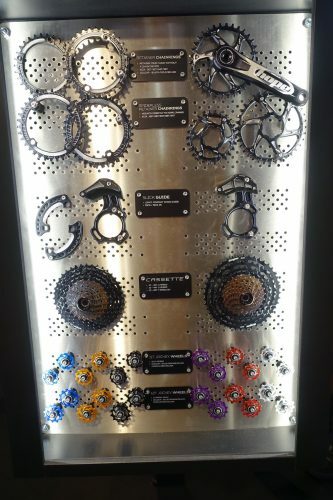 These are all made in Hope’s Barnoldswick factory, and feature a 30mm spindle and a unique locking interface between the axle and each crank arm. 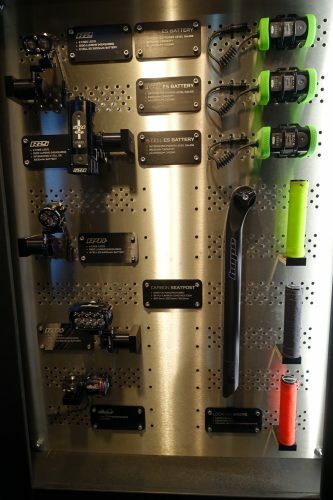 With the exception of derailleurs and shifters, Hope pretty much has everything you need in the drivetrain department. 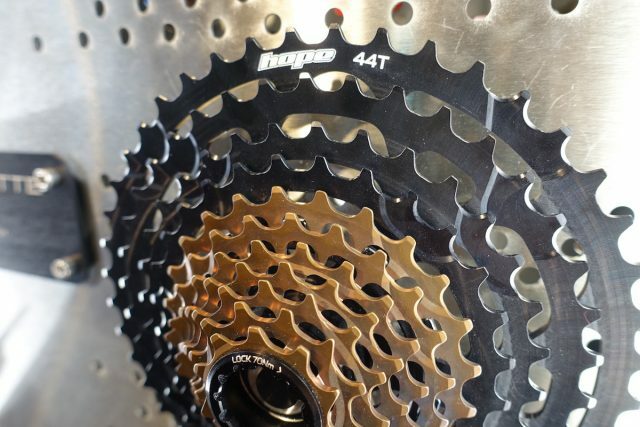 That wide-range cassette comes in three different ratios, with the 10-44t being the biggest option currently available, though expect to see the 10-48t option in the future. 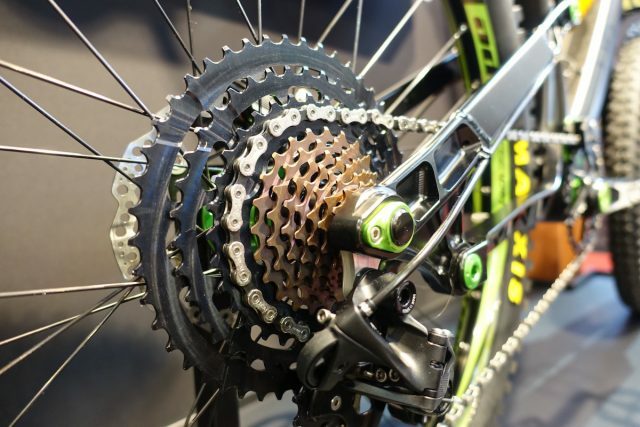 Steel sprockets for the smallest seven gears, and machined alloy for the top block. 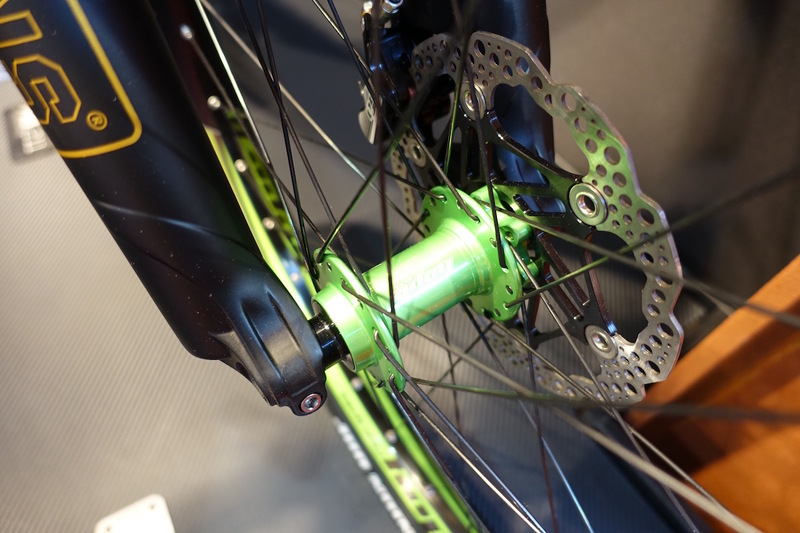 However, you’ll need a Hope Pro 2 or Pro 4 rear hub, as it requires a special freehub body. All the purple! 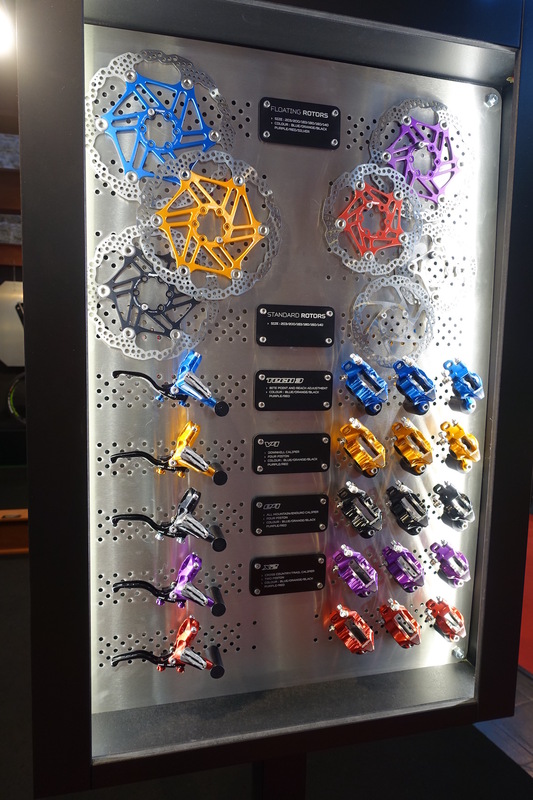 Nice to see some bright colours available for otherwise dull components. 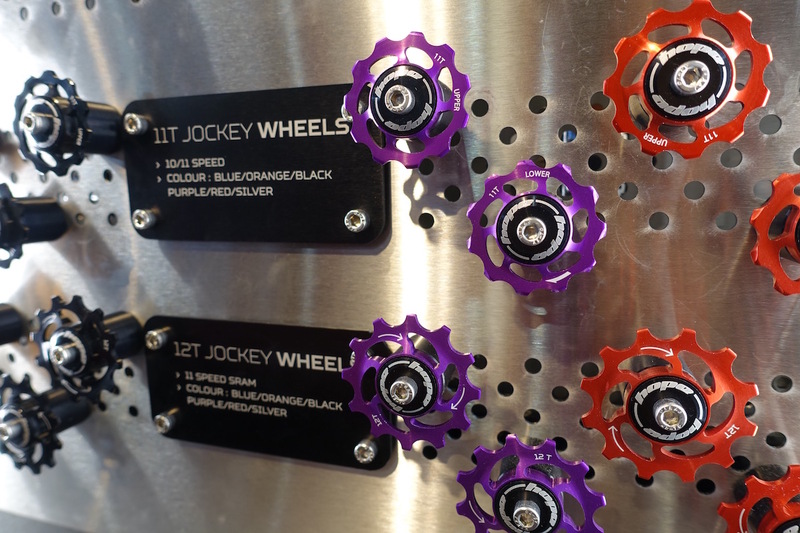 The news here is the 12t jockey wheels that are compatible with SRAM rear derailleurs such as X0-1. 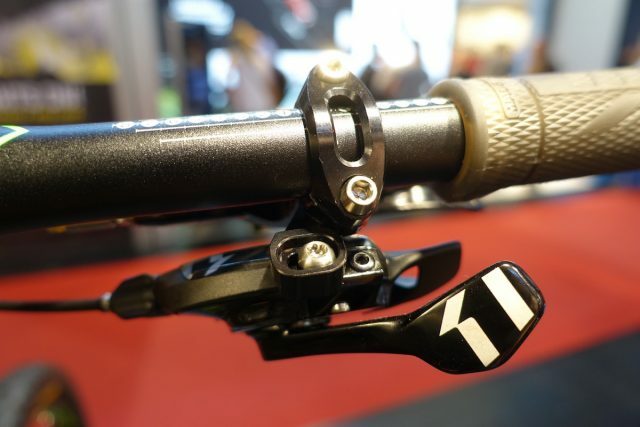 Hope were also showing off their latest range of seatposts, grips and lights. How’s this banger? It’s an 8-LED light that pumps out 3000 Lumens. Machined alloy casing (of course). 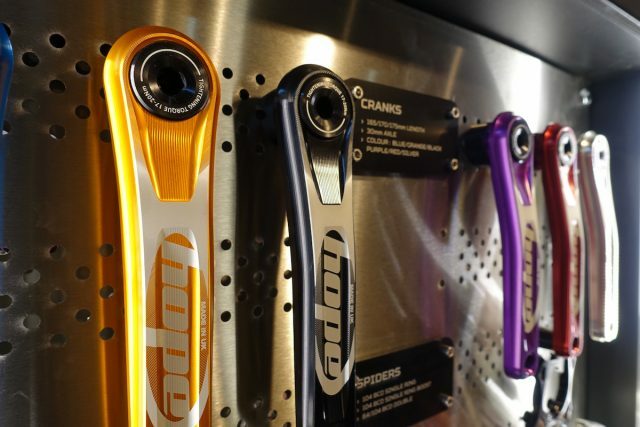 More pretty things to make your bike prettier. And some hubs and rims and stuff. 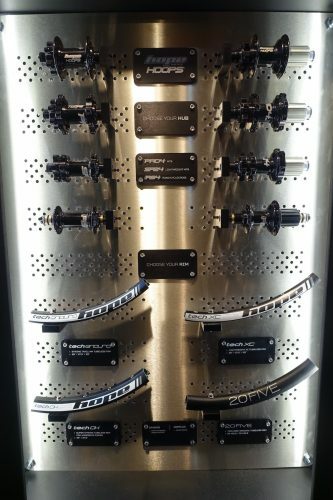 Hope have continued to expand on their hub range, which you can purchase individually or as part of a complete wheelset. Neat cutaway of the Tech Enduro rim with its triple box construction. Is that orange stem for 35mm bars, or is it just the angle of the photo making the perspective deceive me? Just the angle of the photo Al. Those are 31.8mm stems. 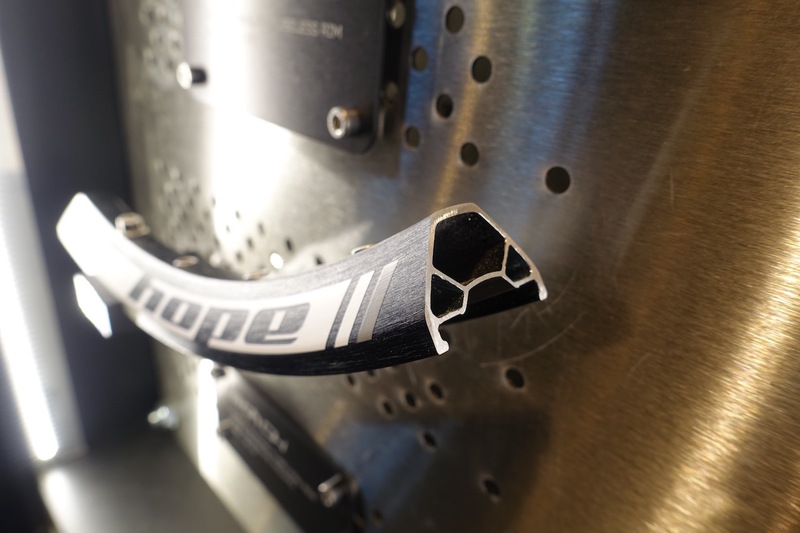 Worth noting that Hope’s new UK made carbon fibre handlebars will be 31.8mm in diameter also. No plans for a 35mm version as yet. We like shiny things, we really like shiny things. I’d say that was definitely a 35mm al. They launched those a little while back. They certainly do @benpinnick, and Hope had both 31.8mm and 35mm options on display during Eurobike. The blue and gold stems you see in the photo above utilise the regular 31.8mm diameter, so it’s just a trick of the camera that’s likely creating the confusion. Do Hope make their own rims now or are they still outsourced?